The phrase “like finding a needle in a haystack” is a similie — sometimes, the thing we’re in search of is going to be so hard to find, it’s functionally impossible to do so. Literally, though, one rarely worries about needles in haystacks. 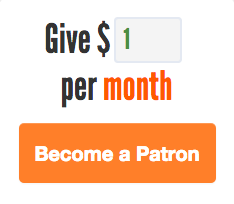 (Unless you’re a cow, but in that case, see the “From the Archives” section at the bottom.) If one were to lose an actual needle in an actual haystack, you’d probably just let it go. Not only is there not much of a practical reward, but there’s also no glory: despite the long odds; a headline “Man Finds Needle in Haystack” would hardly be front-page news, and may not be newsworthy at all. And yet, that’s the headline of a November 2014 article published by Modern Farmer. A guy searched through a haystack for a lone needle and successfully found what he was looking for. Our intrepid needle-needer is named Sven Sachsalber, above. He’s not a farmer nor a knitter (as far as we know) nor anyone else who, normally, would need either hay or needles. He’s a performance artist. Sachsalber’s career, like that of most artists, is marked by eccentricities most of us wouldn’t take the time to delve into. Per the above-linked article, the Italian artist “is known for playful conceptual art, like sitting in a tree and sawing it apart while still in it, or filming himself eating poisonous mushrooms in the woods.” (I recommend doing neither.) In this case, though, he decided to do something a bit less risky. 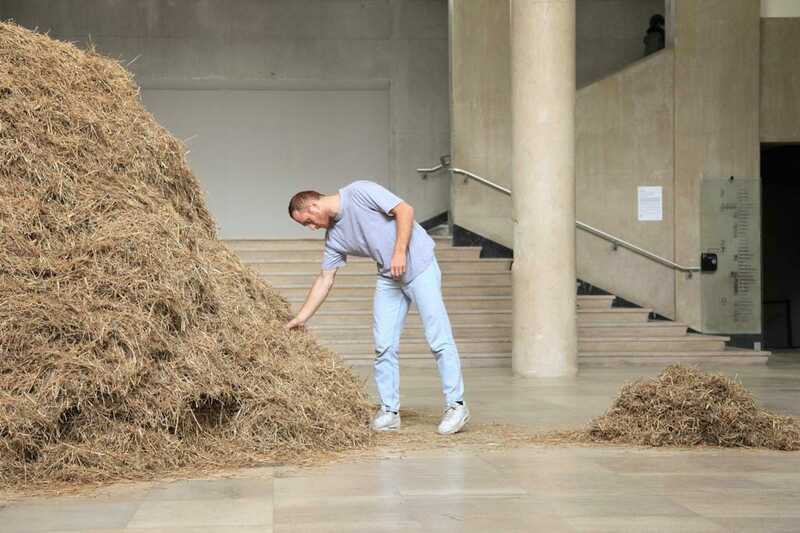 For two days, Palais de Tokyo, a Paris art gallery, hosted Sachsalber and a huge pile of hay — and one needle. The hay was acquired by the gallery on the artist’s behalf (and paid for by the gallery); the museum’s curator, before Sachsalber arrived, hid the lone needle in somewhere in the haystack. Then, Sachsalber got to work. For twelve hours a day, he did nothing but look for that needle. Modern Farmer explained his process: “take a handful of hay, not too large a handful, fold it a couple times and bend it, and, theoretically, if the non-pliable needle was in that handful, he’d feel it.” Assuming the needle wasn’t in that handful, he would cast it aside and repeat the process. The Independent spoke to Mr Sachsalber as he, unsmilingly and with a look of cosmic boredom, sifted hay from a large pile into a smaller pile. As the project could take forever — figuratively — Sachsalber put a time limit on the endeavor. If he didn’t find the needle within 24 hours — twelve a day for two days — he’d give up. But while he was searching, people were welcome to watch. And viewers didn’t have to swing by the gallery to view this incredibly mundane performance; a French TV channel was covering it live, so you could tune in if you wished (and lived locally). And yes, that means some of the efforts are captured for posterity and available on YouTube. If you want to spend six hours watching him search, you can do so here. But for those who planned on watching but tuned in late, you’d have been disappointed. Sachsalber actually found the needle midway through the second day, a moment acknowledged by Palais de Tokyo on its Twitter account. The total elapsed time? About 18 hours. Bonus fact: Hay can spontaneously combust. And, counterintuitively, this happens when the hay is too wet. The basic reason why, as articulated in this paper, is that fresh-cut hay often comes with bacteria and other microorganisms. In a low-moisture environment, those microorganisms will eventually die, but give them enough moisture and they’ll thrive, creating heat in the process. Too much heat will cause the hay to burn. The solution to prevent this? Careful monitoring of the haystacks by putting a probe and thermometer in with the hay. Basically, farmers are supposed to put fancy needles in their haystacks. From the Archives: Cow Magnets: What happens if there’s a needle in a haystack and a cow eats it? Turns out, that’s similar to an actual problem which has a really neat solution.